MOUNTAIN BIKING, PERHAPS MORE THAN ANY OTHER FORM of bicycling, begs to be celebrated in pictures. The sheer variety of the terrain where we can ride mountain bikes creates the sport's unique visual appeal. The only limit is a rider's own imagination. Whether it's a lone figure pedaling through some incredible natural landscape or a train of riders boosting big airs off perfectly manicured piles of dirt, good mountain-bike photography is the stuff of dreams. Photographers help curate our sport's history, and many are celebrities in their own right. But before names like Gibson, Keller, Lorence, Markewitz, O'Neill and Wilde adorned the pages of Bike, before Bike was even a magazine, and before the name 'mountain bike' was even a glint in Gary Fisher's eye, a woman named Wende Cragg went riding with the boys in the hills around Marin County, California. And whenever she went riding, she always carried a camera. Wende and then-husband Larry were part of the Marin crew that helped usher in a new way to ride bicycles. Over the course of several years, they created an incredible collection of photography from mountain biking's earliest days. More than mere snapshots of friends on bikes, images the Craggs captured shine a fascinating and informative light on our sport's beginnings, documenting its history before the internet made it easy to do so in real-time. Yep, she saw it all. Lived it all. Photographed it all the while. It was a magical time in the evolution of bicycling, a time when people started realizing they could take balloon-tire cruisers into the woods and experience bikes and nature in a way they'd never before imagined. 'Klunking,' as it was called, drew a new and diverse crowd to bicycling, melding the music and art scene of Northern California with academia, traditional road-racing culture, the building trades, and anyone else with a desire to pedal a bike around in the dirt. Designed strictly for fun, the new sport welcomed all comers. Video: Watch this vintage ’70s video by Evening Magazine covering an early Repack race that oozes mountain bike nostalgia. Riding bikes in the Marin County woods allowed escape from cars, cops, concrete and crowds. Since mountain biking had yet to be named and marketed, there weren't any government authorities looking to bust people for goofing around on bikes in the forest. Add to all that the simple fact that when you get more than one person on bikes together in one place, racing of some sort is bound to happen. Competition was inevitable. The old newsboy bikes were heavy and unwieldy, and they made better downhill rigs than they did cross-country machines. Also, going downhill fast fit the new sport's all-fun, all-the-time vibe. Not surprisingly then, the first real organized contest was the 'Repack' race, a 2-mile downhill time trial. 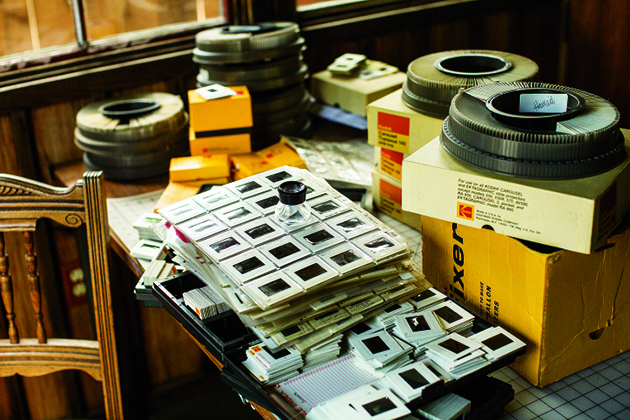 The Craggs became Repack's most prolific photo-documentarians. Wende also claimed the women's record for fastest time. The potential for off-road bicycling seemed promising, so the bikes began to evolve. Coaster-brake cruisers were retrofitted with derailleurs and beefier forks. And eventually the old, pre-World War II Schwinn Excelsior cruisers were cast aside for purpose- built, fat-tire trail bikes. 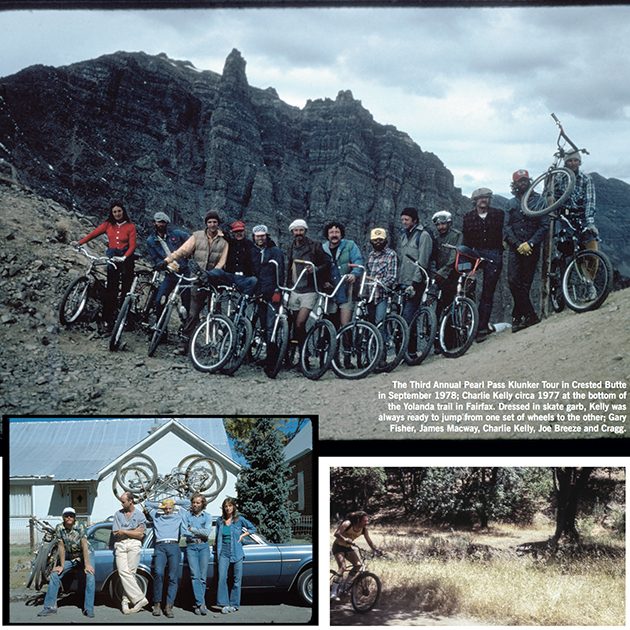 Joe Breeze designed and built the first real trail bike, and Wende received Breezer No. 4. The new bikes soon took their riders beyond Marin County. They traveled to the Sierra Nevada mountains of California, the high alpine of Crested Butte, Colorado, and just about anywhere they could find dirt and adventure. Riding bikes in these locations was anything but commonplace in the 1970s. It demanded to be captured on film. As Wende's collection of mountain-bike photos grew, so did interest in the sport. 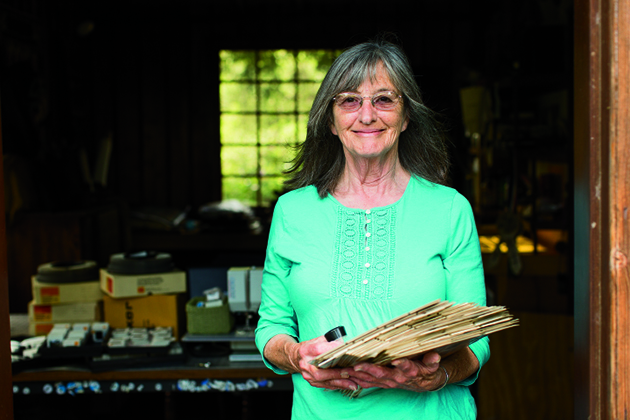 Unconsciously she had recorded mountain biking's early history, and a solid selection of her photography traveled to the New York bike show with Gary Fisher and Charlie Kelly. Evocative imagery, combined with Fisher and Kelly's gift of story- telling, won over the crowd. Whether it was a tipping point or simply an announcement to the sometimes-reluctant industry about the future of our sport, the mountain-bike train had left the station. There was little left to stand in the way of its success. Aided by the gift of hindsight, every single one of our sport's pioneers can see the genius behind it and surely understands the fortune they could have made. "If only I had… ." But that wasn't why the original Repack crew and untold others flocked to the dirt. It wasn't about commerce–it was about the experience. And this is certainly true about Wende's time in the early mountain-bike scene and her photography. ing and the photo collection she created. 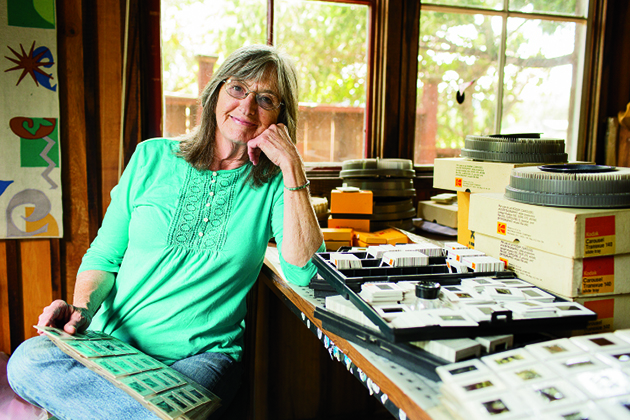 With the Mountain Bike Hall of Fame relocating to the Marin Museum of Bicycling in her hometown of Fairfax, California, Wende has spent the past several months sorting through the thousands of photos she took be- tween the years 1976 and 1983. The self-described "accidental photographer" says that only about 600 of those shots are keepers, but the images capture everyone who was involved in the scene back then. Cycling historians and cynics love to argue the notion of 'first' when it comes to the context of mountain biking–and often with good reason. But it is undeniable that Wende is the first photographer of our sport. Others took pictures, sure, but she documented a pivotal period in bicycling history, a time and a place and an attitude that became a global phenomenon. It's been a few years since Wende has ridden regularly–three dogs and her own textile business take up most of her time–but she still has the soul of a mountain biker. Every time she sees a rider on fat tires, she feels a sense of excitement and a bit of pride in the knowledge that she was there in the beginning. "I'll never, ever lose my passion for it," she says. "I'll never lose that passion for the mountain bike."